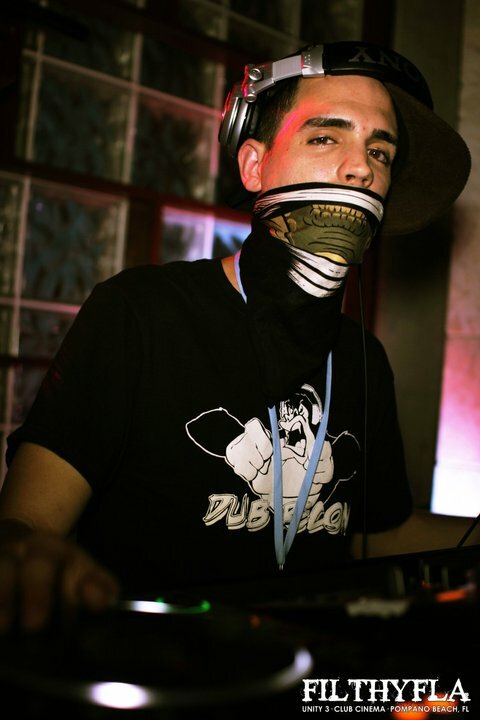 Its virtually impossible to speak about the South Florida Dubstep Scene without mentioning DJ Casper. If its dubstep, and its in south florida, you can be sure Casper is involved. He's climbed the ranks and has become a local heavy hitter and one of South Floridas most sought after Dubstep DJ's. If its filthy, grimy, melt your face off bass your looking for, he's the man to see. From sketchy nook and cranny dive bars, to performing at almost ever venue from West Palm to Miami. Headlining for huge crowds at the the Spirit of Sound gathering, one of South Floridas premier EDM events, Casper is a no-joke, in-your-face, DJ who's known for his undeniable mixing skill and keeping the filthy bass constantly firing at you. He is the head honcho of the South Florida division of Konkrete Jungle, keeping South Florida connected to the world of jungle / drum and bass. He is the founder of Dub Recon, Caspers personally hand picked collection of South Floridas most talented dubstep / drum and bass DJ's. Dub Recon is in the business of destroying crowds of raging party goers all over South Florida, and business is good... Casper prides his reputation as an incredible underground DJ. Hes the DJ thats playing all the newest and best unsigned, underground tunes that nobody can get their hands on. Casper is currently working on his latest brainchild, Firestar Recordings. An underground record label with releases from an onslaught of new producers ranging from Dubstep to Drumstep and Drum and Bass, carrying the torch for the next generation of labels and producers emerging out of the South Florida region. Casper is arguably the most ambitious player in the South Florida underground DJ game.